(Yes, we are still posting stories about 6 weeks behind where we currently are. Over the next couple weeks we will be putting up posts regarding our South Island tourist experience and AT preparations. 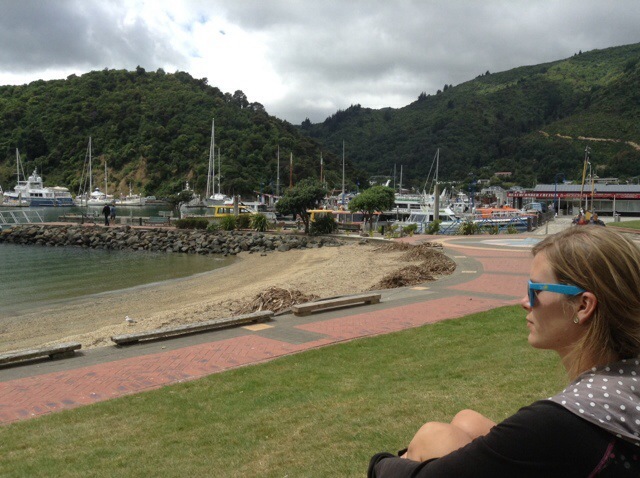 …We left Mushu at the resort to wait for her grand South Island tour and left on the water taxi for Picton. 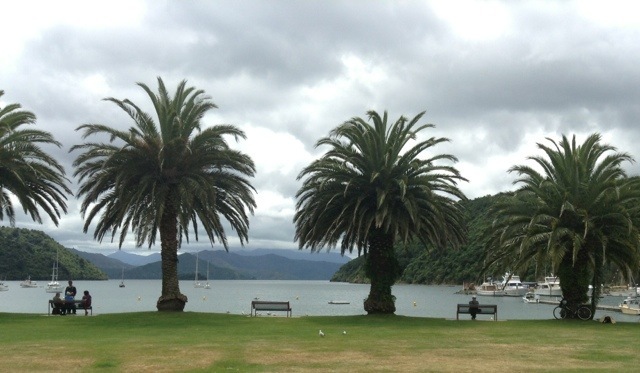 Ah… lovely Picton. What do you do on your third visit to a town with only two touristy streets and four hours to kill? Find your friends of course! We spent our last couple hours on the South Island before catching the night ferry to Wellington with coworker/mentor/friends, John and Dawn. 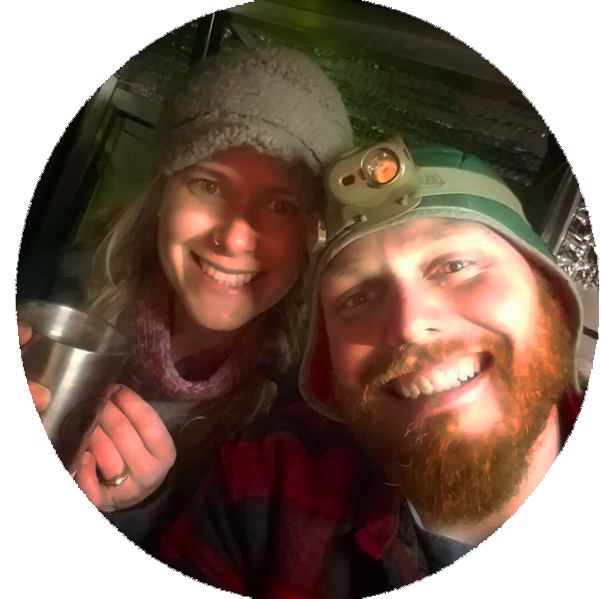 Now that we had money from eight hard weeks of punching in a clock, we even splurged on a wine, beer, and two meals out. So much for being poor struggling travelers! The ferry trip north was fairly uneventful, a good thing considering just two and a half months ago one of the five ships (between the two companies) lost its propeller in the middle of the ocean! We made it to Wellington before we even realized we left the dock, just a quick meal and a movie and we were there! The Picton Marina, this is where about half of our boatie customers stored their boats. Wellington turned out to be a far different story though… we went to check into our hostel immediately after disembarking at 11:30 pm to find out the person who took our reservation made it for the wrong night. Great… Not all went to hell, as the receptionist took pity on us and permitted us to sleep on the lounge couches for 10 bucks. Granted we paid cash and never signed in, the night receptionist made beer money and we didn’t have to sleep on the sidewalk. Yep, welcome BACK to the budget backpacker life friends; sleeping on a public couch in the middle of a hostel common room on a Saturday night.